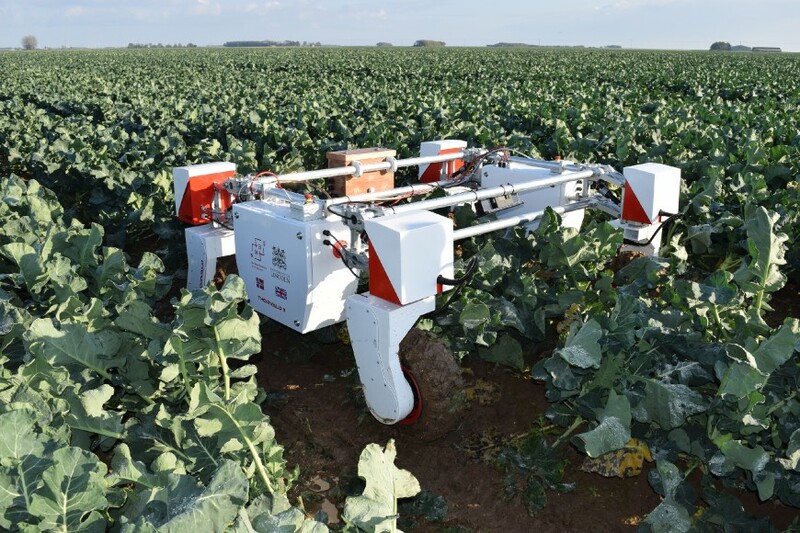 10 Knowledge on weed control "getting lost"
A new specialist agri-robotics training and research centre will be established by the University of Lincoln to help meet food supply challenges of the future. The centre will be the world's first Centre for Doctoral Training (CDT) for agri-robotics and will help develop cutting edge automated technology and robotics, having received £6.6 million from The Engineering and Physical Sciences Research Council (EPSRC). 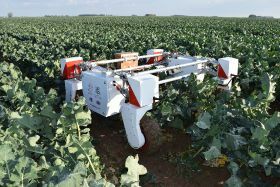 The university aims to bring a “massive influx of high-level robotics expertise” to train at least 50 doctoral students, who will be supported by major industry partners, specialising in areas such as autonomous mobility, crop harvesting, soft robotics for handling delicate produce, and “co-bots” for interacting with humans on farms and factories. With a growing global population, agricultural labour shortages and ecological decline, agriculture is a key target for robotic investment. Professor Tom Duckett, professor of robotics and autonomous systems at Lincoln, says robotics are predicted to add £183 billion to the UK economy in the next ten years. “Agri-food is the largest manufacturing sector in the UK – twice the scale of automotive and aerospace combined – supporting a food chain, from farm to fork, which generates a Global Value Added of £108bn, with 3.9m employees in a truly international industry,” Duckett said. The Centre will bring together a unique collaboration of leading researchers from the Universities of Lincoln, Cambridge and East Anglia, located at the heart of UK agri-food business, together with the Manufacturing Technology Centre, supported by leading industrial partners and stakeholders from across the food, farming and robotics industries. These include John Deere, Syngenta, G’s Growers, Beeswax Dyson, ABB and the Agricultural and Horticultural Development Board. It is one of 75 new Centres for Doctoral Training to be funded by the EPSRC (part of UK Research and Innovation) in what is hailed as one of the country’s most significant investments in research skills, designed to equip the UK with the next generation of doctoral level researchers it needs across the breadth of the engineering and physical sciences landscape. Professor Richard Harvey, Senior Lecturer in Computer Science at UEA, said research at the centre will target the “unpleasant, difficult and repetitive aspects of farming”.